Dr. Bruno Jercinovic is a classically trained, well-rounded pediatrician. An American citizen, Dr. Bruno grew up mostly in California. He returned to his native Croatia where the entrance exams are much more difficult. He earned a medical degree from the University of Rijeka. That is where he met and married Dr. Spomenka. After the birth of their first son, Dr. Bruno moved his family to the United States. He pursued training in Chicago, first, his internship at Cook County Hospital, then his residency at Rush Presbyterian St. Luke’s Medical Center. During his pediatric residency, he had experience working at other hospitals in Chicago, including Mt. Sinai and Christ Hospital in Oak Lawn (now known as Hope Children’s Hospital). Dr. Bruno is licensed by the State of Illinois. He is a staff member at Provena St. Joseph Medical Center and Silver Cross Hospital. To tell the whole story about Dr. Spomenka’s career, we have to start when she was 13. Her mother died, and she spent her teen years being a primary care giver to her father and grandparents. At the age of 13, she began nursing school. In Croatia where she lived, students could choose a trade school in lieu of a regular high school. This option was more intensive schooling. In addition to the general high school education, students were required to also learn nursing. Dr. Spomenka spent half her day in school, and the other half at the hospital. She graduated the Nursing School of Karlovac at 17 as a registered nurse. Before going on to medical school, Dr. Spomenka worked in an Ear Nose and Throat operating room. While still 17, she was assisting the doctor and working with instruments. She never missed a day of work. Her early experience in the ENT field has only helped her as a pediatrician later in her career. After working in the ENT field for several years, she had accomplished all that she could in her profession. The entrance exams for medical school are extraordinarily difficult and competitive. While working during the day, she studied biology, physics and chemistry at night. 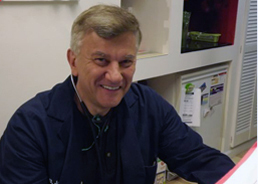 Dr. Spomenka earned top scores and joined the students at the University of Rijeka to become a doctor. She was only 22. That is where she met and married Dr. Bruno. When they decided to move to the U.S., unlike Dr. Bruno, who was an American citizen, Dr. Spomenka did not speak English. In order to practice medicine here, she had to pass the American medical exams. Yet again, she studied and passed the exams with top marks. 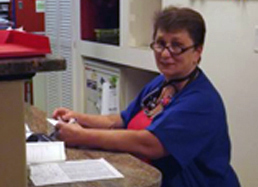 Dr. Spomenka became a pediatrics resident at Rush Presbyterian St. Luke’s Hospital. She also worked at Mt. Sinai and Christ Hospitals (known know as Hope Children’s Hospital). After completing her pediatrics residency, Dr. Spomenka worked as a pediatrics ER physician and a clinical instructor of pediatric emergency medicine at the University of Chicago Wylers Children’s Hospital. Moving to Joliet, she was the medical director and founder of the nursery and pediatric inpatient service at Silver Cross Hospital. She established pediatric offices in Wilmington and Joliet. Then in 1990, joined Dr. Bruno at their current practice, Dr. J. Pediatrics in Shorewood. Dr. Spomenka is licensed by the State of Illinois. She is a staff member of Provena St. Joseph Medical Center and at Silver Cross Hospital.